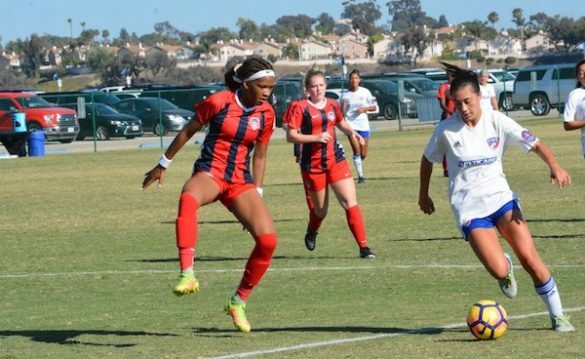 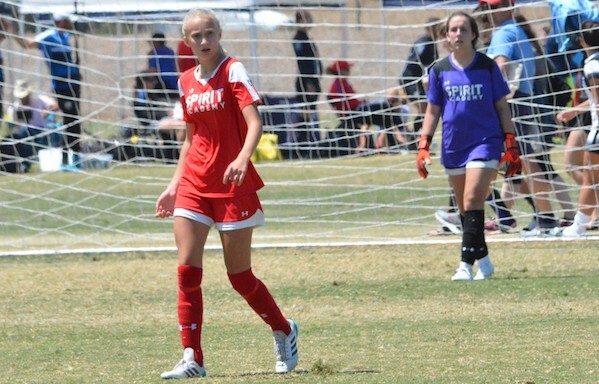 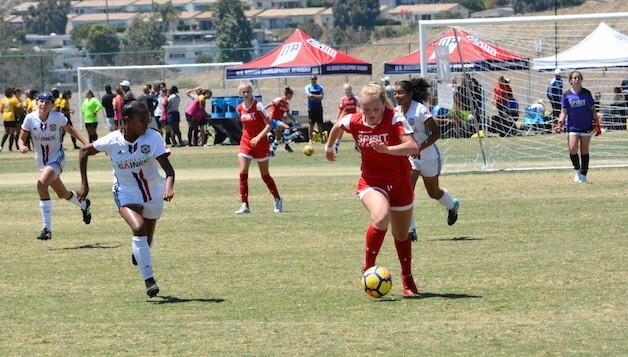 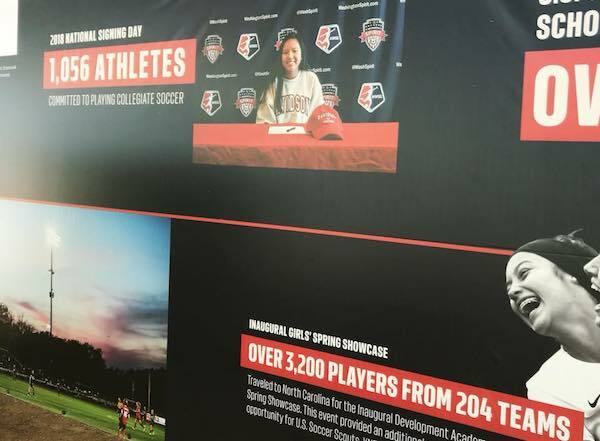 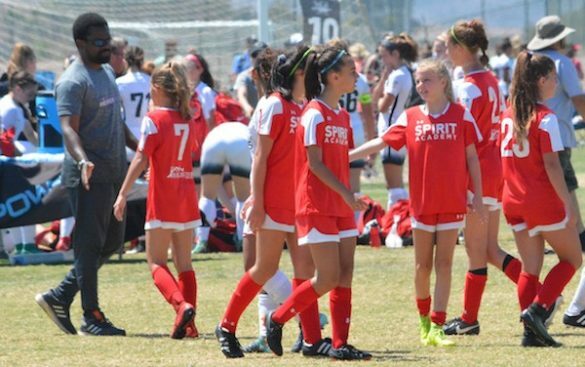 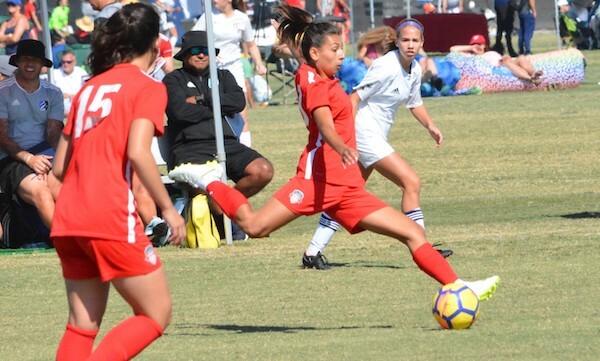 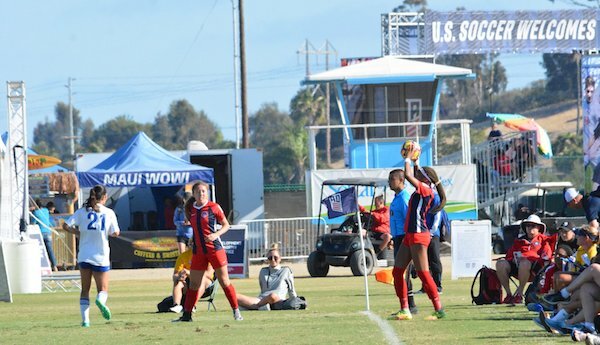 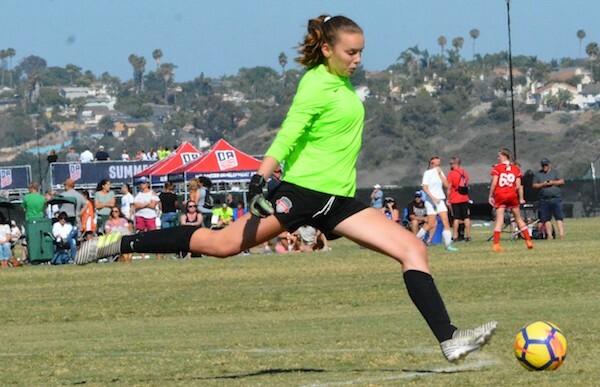 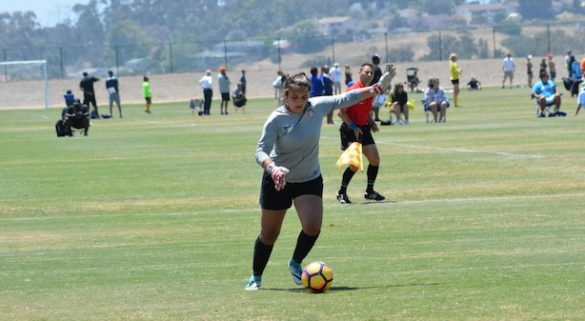 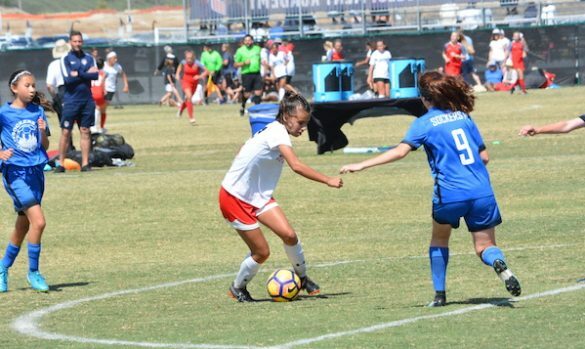 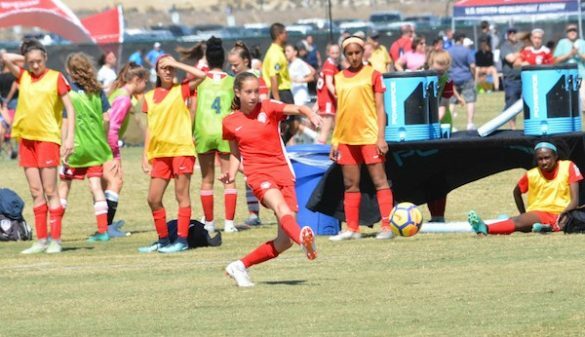 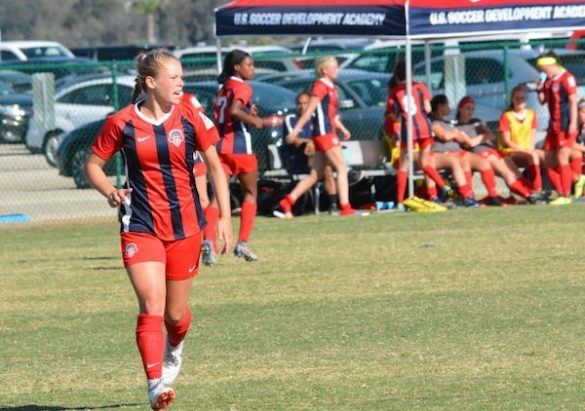 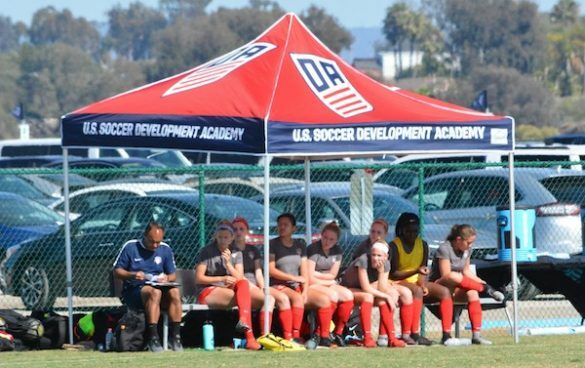 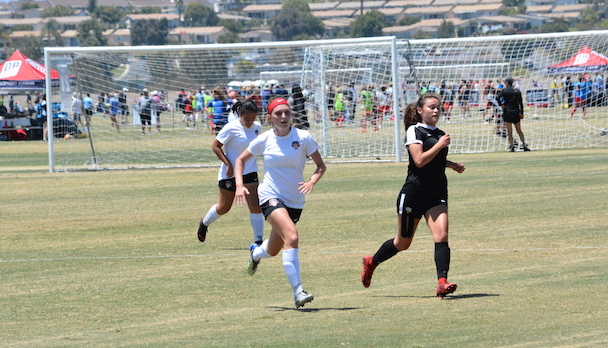 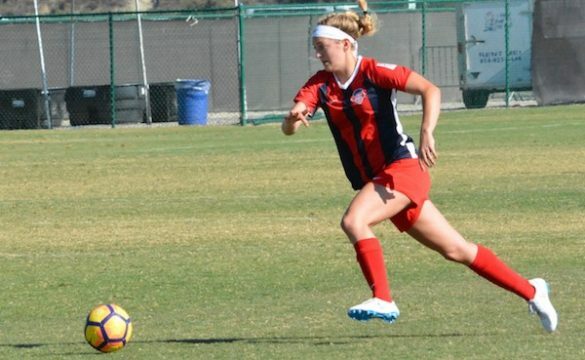 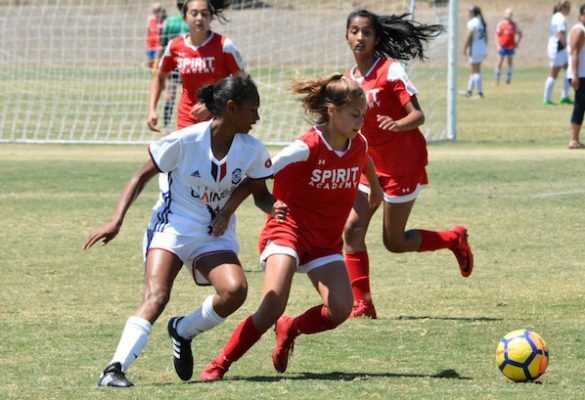 Boyds, MD (July 5, 2018) – Washington Spirit Academy – Maryland and Virginia teams competed in the 2018 Girls Summer Showcase and Development Academy Playoffs over the past week at the SoCal Sports Complex in Oceanside, California. The Spirit Academy – Maryland U-16/17 squad wrapped up their showcase with an impressive 2-1-0 record. 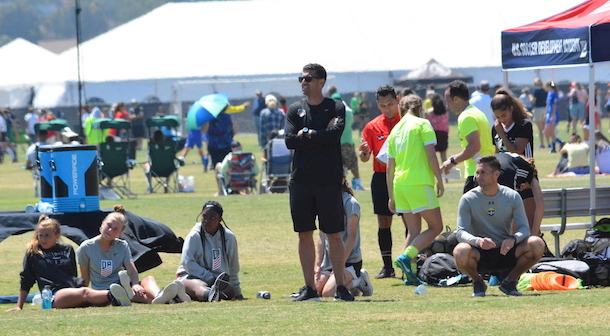 They defeated Albion SC 5-2 and Indiana Fire Academy 3-1 to close out the week. Offensively, Taylor Carter led the way with three goals, while on the defensive side the back line held opponents to four goals in three games. 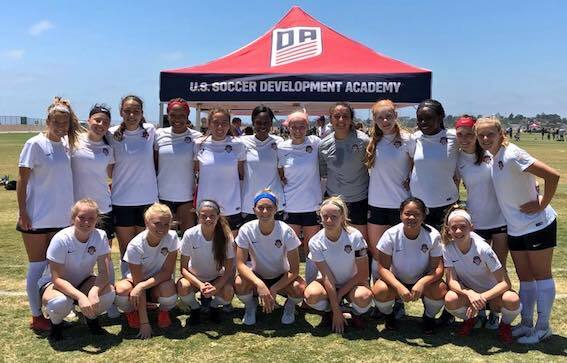 The U-15 Maryland side also recorded a 2-1-0 record at the Summer Showcase, picking up a pair of wins. 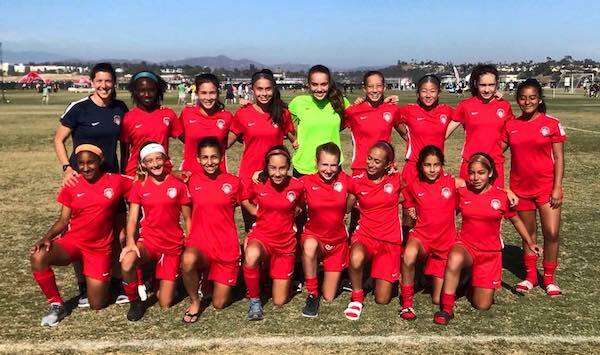 They defeated Florida club Weston FC 4-0 and Southern California’s Eagles SC in a 2-1 result. 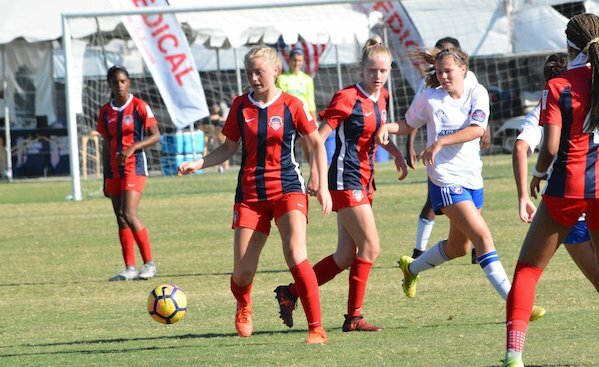 Ellie Stokes led the Spirit with five goals, while Cate Shepherd netted four, including a hat trick in the team’s final game against IMG Academy. 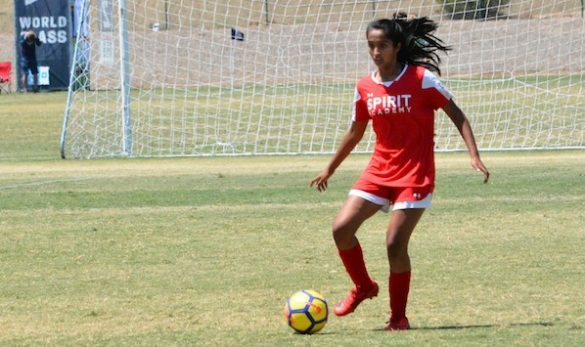 Spirit Academy – Maryland’s U-14 team ended the Summer Showcase with a pair of 2-2 draws against Los Angeles Premier FC and Chicago-area powerhouse club Sockers FC. Elise Graf led the Spirit in scoring, netting two of the team’s five goals. The Virginia U-16/17 team will go down as the first Washington Spirit Academy team to qualify for the Girls’ DA Playoffs, qualifying in the league’s inaugural season. 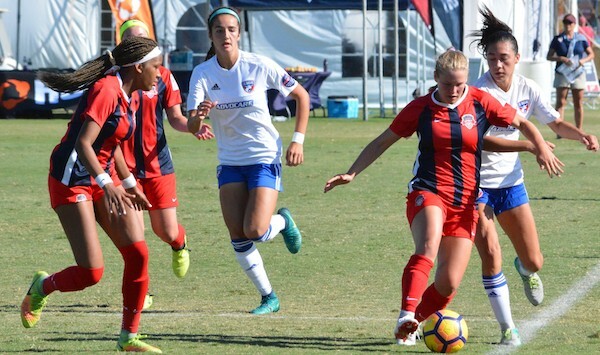 After drawing a tough group pairing, the team held opponents to four goals in three games, including holding third-ranked FC Dallas to one goal. 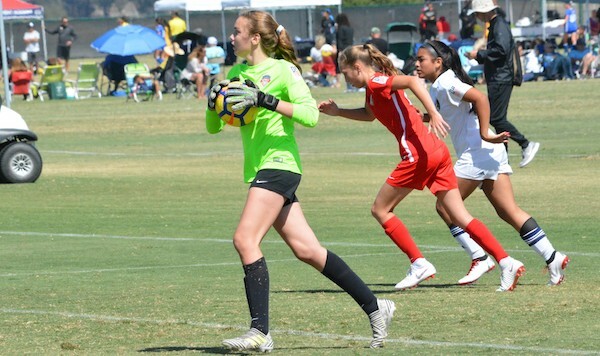 The Virginia U-15 team came away with one win in the Summer Showcase. In their second game of the week, they defeated Shattuck – Saint Mary’s in a lopsided 3-1 result. 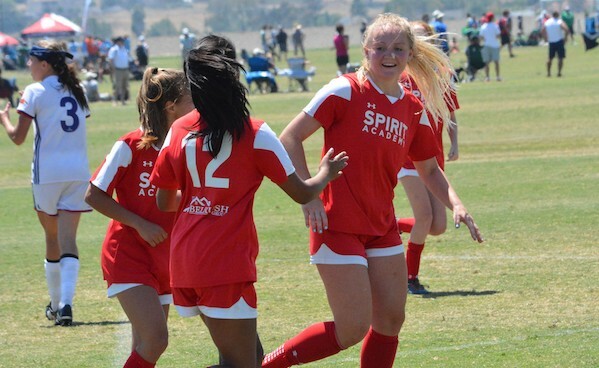 In that win, the Spirit U-15s received goals from Madison Barlow, Isabella Cahall and Alexandria Jones. 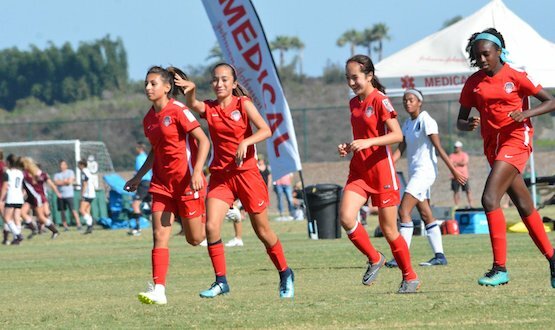 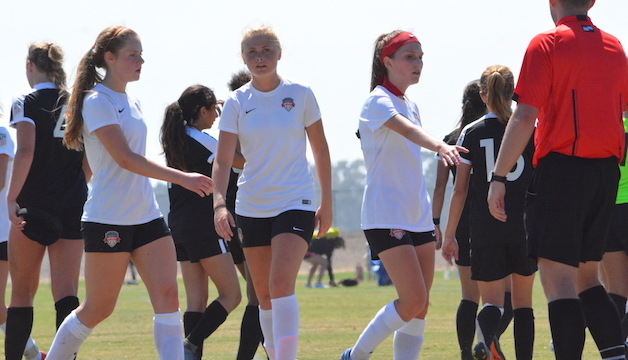 In three games, the U-15 team racked up seven goals. 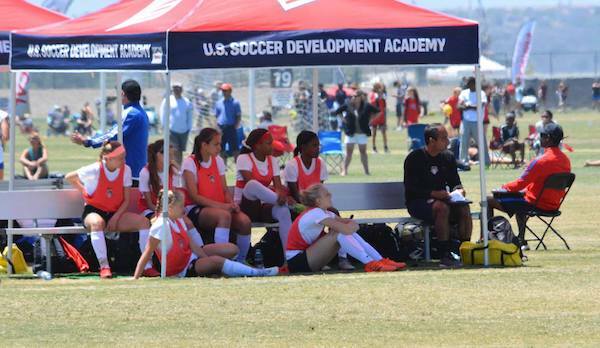 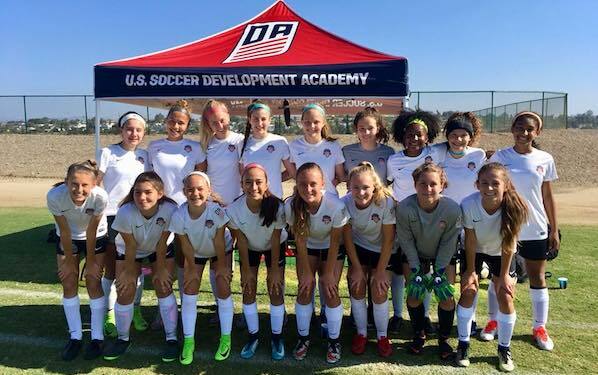 The U-14 Development Academy team ended their week in California with an unbeaten 1-0-2 record. In the club’s one win, they recorded a 1-0 shutout against the IMG Academy U-14 team. 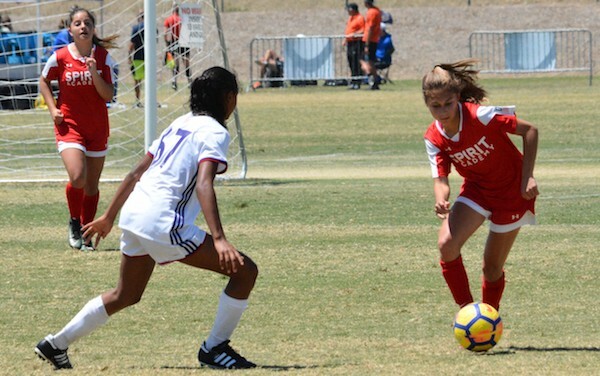 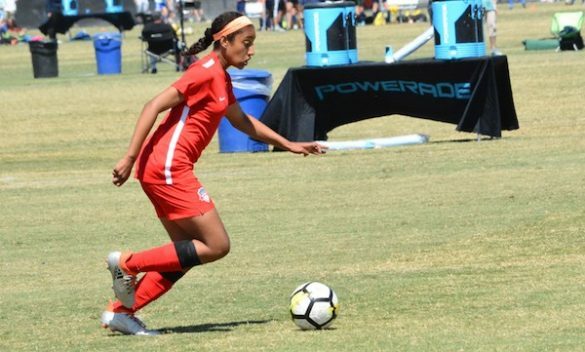 The U-14 team recorded three goals during the week from Lillian Keith, Reagan Wise and Nia Laureano, while the defense held opponents to only two goals.